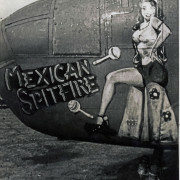 Do you know anyone who was in the Army Air Force during WWII, or in the Air Force since WWII? 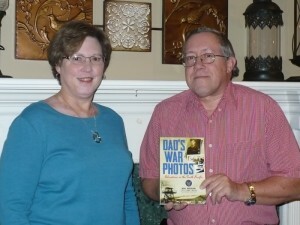 Did you know you can have the military history of their battalion? For the past three years, I’ve been working on the biggest book project I’ve ever undertaken. You might call it a labor of love. I finally finished it and received a copy from the printer just before Christmas. I wanted to give this copy to a very special person in my life. 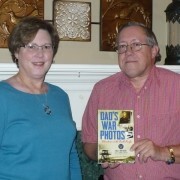 Curtis Bertrand was just a country boy with a camera when he entered the U.S. Army in World War II. 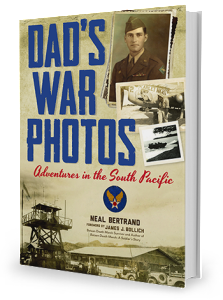 He returned home from the Southwest Pacific Theater with over 600 photos to share with family members and friends, never realizing the importance these unique views of the war would provide. © 2015-2018 Neal Bertrand. All Rights Reserved.